Small Business Policy Index 2018: North Carolina ranked 17th among the 50 states. When it comes to doing the right thing for entrepreneurs, investors, small businesses and their employees, North Carolina knows how to ring in the New Year. Specifically, North Carolina lawmakers have gotten into the positive habit of reducing taxes on nearly an annual basis. On January 1, 2019, the state’s individual income and capital gains tax rate was reduced from 5.499 percent to 5.25 percent, and the corporate income and capital gains tax rate was reduced from 3 percent to 2.5 percent. Now, among the states that impose a corporate income tax, North Carolina has the lowest corporate rate. Just how much have things changed in recent years in North Carolina? Consider that the state’s corporate income and capital gains tax rate declined from 6.9 percent to 6 percent in 2014, 5 percent in 2015, 4 percent in 2016, 3 percent in 2017, and now 2.5 percent. As for the individual income and capital gains tax, three tax rates of 6 percent, 7 percent and 7.75 percent were replaced in 2014 with a 5.8 percent flat tax. That rate then declined to 5.75 percent in 2015, then to 5.499 percent, and now it stands at 5.25 percent. In addition, the state’s death tax was eliminated in 2013. That’s a dramatically positive shift in a state’s tax system. Consider that on the Small Business Policy Index 2018: Ranking the States on Policy Measures and Costs Impacting Small Business and Entrepreneurship, which I write for the Small Business & Entrepreneurship Council, North Carolina ranked 17th. Assuming no changes in other states, the 2019 tax rate reductions would move North Carolina up to 15th from 17th (the 2019 edition of the “Small Business Policy Index” is being worked on right now, by the way). Even more striking, consider where North Carolina would have ranked among the states if these recent tax relief and reform measures had never been undertaken. 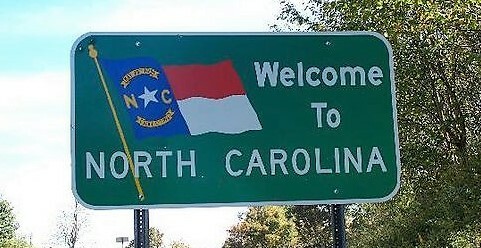 Without the reductions in individual and corporate tax rates, and without the elimination of the state’s death tax, North Carolina would rank 34th among the 50 states, rather than 15th. North Carolina serves as a stellar example that a state with burdensome taxes can undertake sound policy changes to make the state competitive, creating a policy environment that helps to attract, rather than chase away, entrepreneurs, investors, small businesses and workers. Let’s hope that more states follow the lead of North Carolina in 2019.